Viknesh Vijayenthiran August 2, 2018 Comment Now! 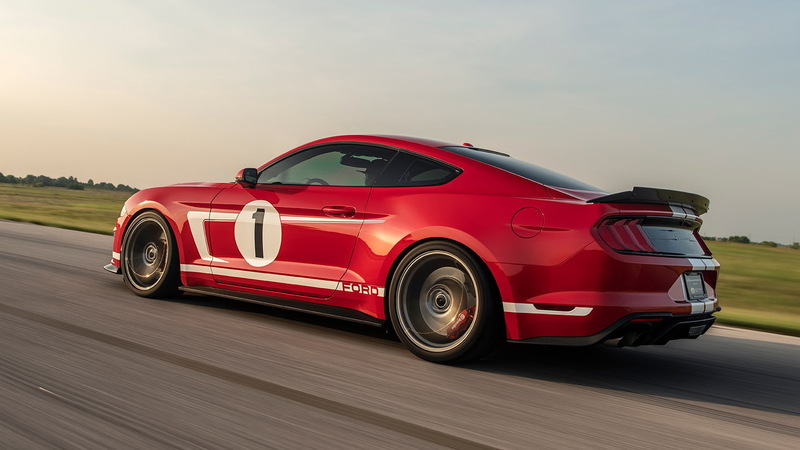 The folks at Hennessey Performance Engineering based in Sealy, Texas have been building fast cars since 1991. 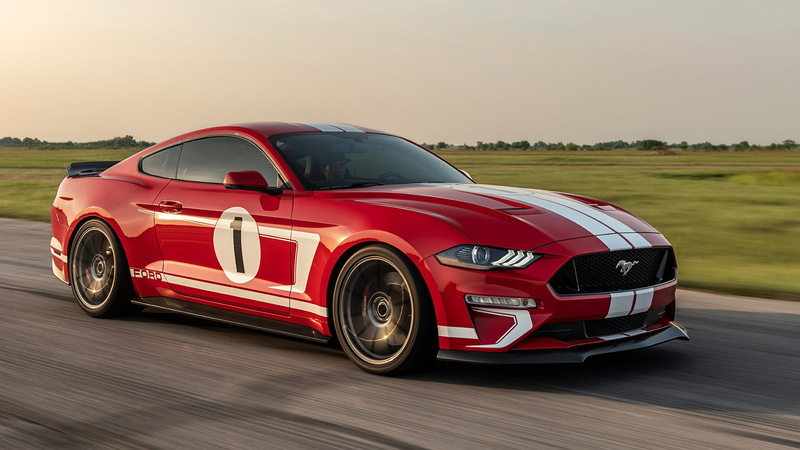 They've now unveiled their 10,000th build: the 2019 Hennessey Heritage Edition Ford Mustang. 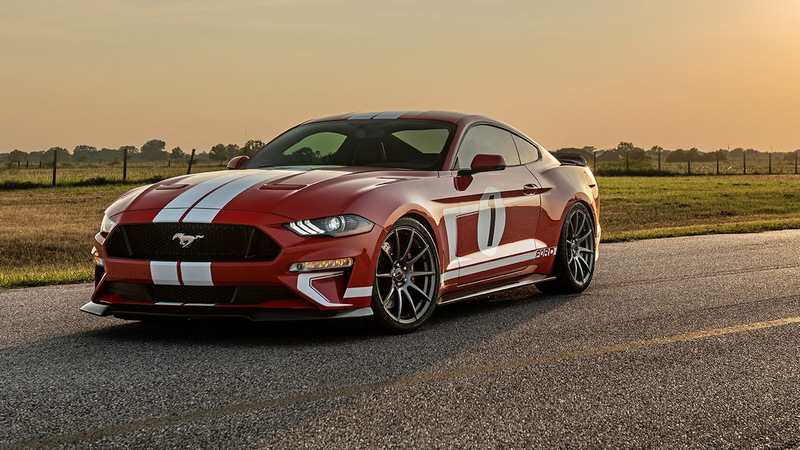 It features Hennessey's HPE800 upgrade designed for the current Mustang GT, but this special edition, limited to just 19 units, also comes with a number of special features. First and foremost, the car dons a unique livery inspired by the design of a 2018 Ford GT Heritage Edition supercar that Hennessey took delivery of earlier this year. Both cars even feature the same “1” racing number donning their flanks. 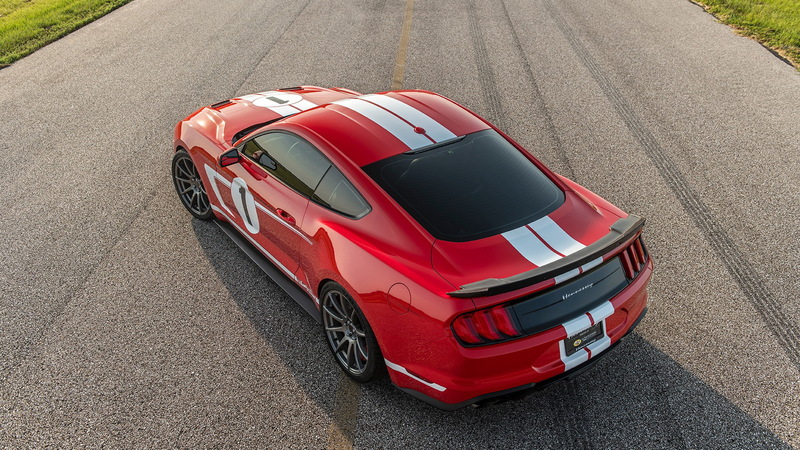 Hennessey's special Mustang, which is officially known as the Hennessey Heritage Edition Ford Mustang, also sports a bevy of unique carbon fiber elements including its front splitter, side skirts, rear spoiler, and engine coilpack covers. It sits on lowered suspension and a set of 20-inch forged wheels developed in-house at Hennessey. Wrapped around each wheel is Michelin Pilot Sport Cup 2 rubber. Stopping power meanwhile comes Brembo brakes with available 15.1-inch rotors at all four corners. The most impressive part of the package of course is its powertrain. 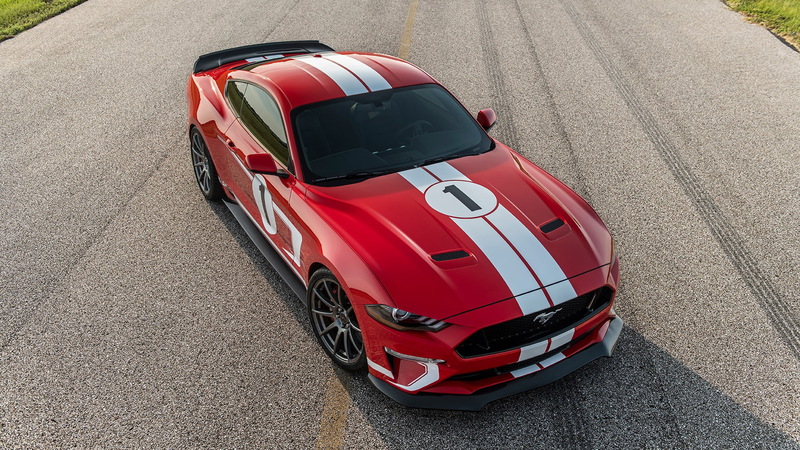 Thanks to a new 3.0-liter supercharger attached to the donor Mustang GT's 5.0-liter V-8, along with all of the associated plumbing, the car is rated at 808 horsepower and 677 pound-feet of torque. It's enough to see the 0-60 mph run completed in 3.3 seconds and the top speed reach just over 200 mph. As mentioned, just 19 examples will be built, each priced from $89,950. Each of the turnkey cars will also come with a serial numbered dash plaque and engine plaque, letter of authenticity, and personal letter of gratitude from Hennessey CEO and founder John Hennessey. Hennessey has managed to build a wide variety of performance cars over the past 27 years, including hypercars and six-wheeled pickups. By the company's calculations, its vehicles have averaged about 650 hp in their power ratings over the years.